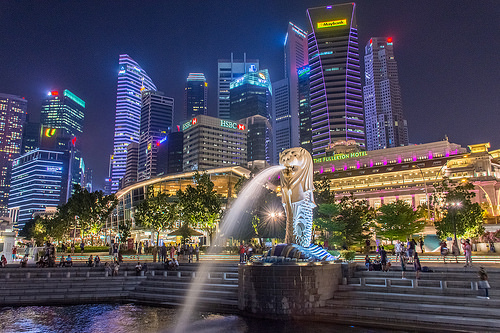 Known as the Garden City, Singapore is a compact metropolis celebrated for its rich urban greeneries creatively integrated within the towering commercial and residential districts. It is one of the easiest country to visit. With its efficient public transport, Singapore is rather easy to navigate. Most first-time visitors flocked to Orchard, Sentosa, Marina Bay Sands, or Universal Studios to take on the usual touristy route. But did you know that beyond the shopping haven and Asia’s cultural melting pot, Singapore also boast beautiful parks and urban escapes for those who crave outdoor adventures or downtime? Here’s a starter list of Singapore parks for visitors who wish to go beyond the usual tourist spots. Contrary to its reputation as being a playground for the rich, Singapore actually caters to all kinds of budget. Choose from plenty of affordable hostels, luxury boutiques, and the best hotel deals in Singapore. Most Singapore parks are located within the city and are accessible via the train and bus system. 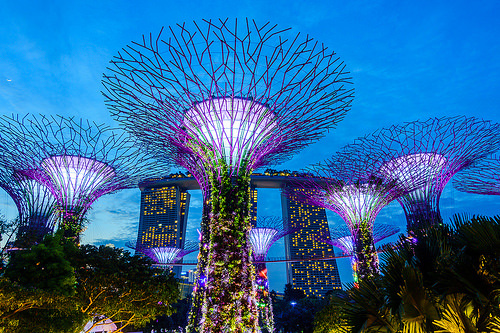 Located in the heart of Singapore adjacent to the Marina Reservoir is a nature park popularly known as Gardens by the Bay. These 250 acres of reclaimed land were creatively transformed into a horticultural display of Singapore’s garden artistry. It is home to the world’s largest glass greenhouse, The Flower Dome, and the impressive, environmentally sustainable Supertrees. Need a break from shopping? 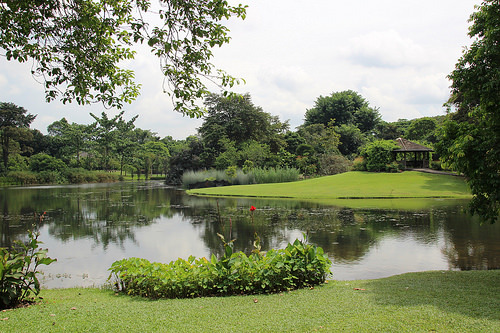 Singapore Botanic Gardens is just around the corner from the Orchard Shopping Center. The lush garden and its extensive collection of botanical and horticultural attractions have been acknowledged as one of the UNESCO World Heritage Sites. Take a breather around the British tropical colonial architecture or retreat to wonderful performances at the open-air concert ground at the Shaw Foundation Symphony Stage. Pulau Ubin is known as the last frontier of Singapore. This island off the northeast coast of Singapore is a short bumboat ride from the Changi Point Ferry Terminal and will take you on a historic experience of Singapore as it used to be. Rent a bicycle in Pulau Ubin to explore the island’s best spots. The guided off-road tracks will take you down a path of lush forests and wild animals, providing an exhilarating journey with nature. Are you up for a 10-kilometer trail challenge? Rise early to conquer the interconnected Southern Ridges park, which weaves through Labrador Nature Reserve, Telok Blangah Hill, Hort Park, Kent Ridge Park, Henderson Waves, and Mount Faber. 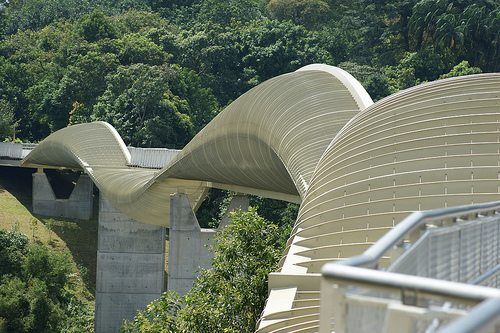 This amazing trail features forests and a canopy walk. Keeping fit is pretty easy considering the number of Singapore parks available. 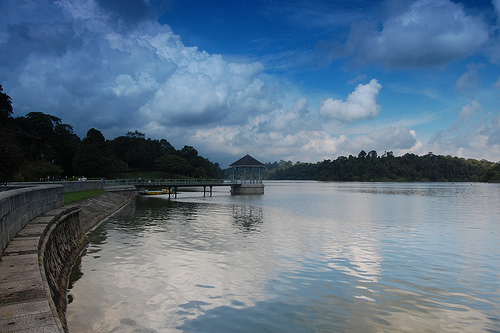 Macritchie Reservoir Park is one of trail seekers’ favorite hidden parks and requires a bit of traveling away from downtown. 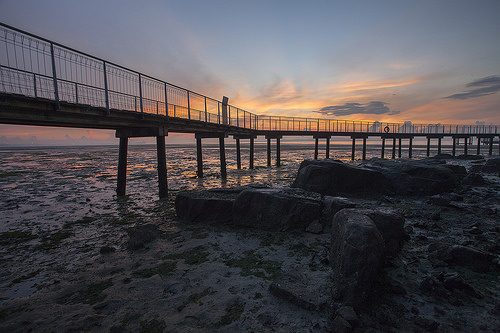 This recreational park sits at Singapore’s largest reservoir and offers nature running trails and a boardwalk that spans across a scenic forest view. Remember on your next visit to delight yourself with nature and experience Singapore from a different perspective. Love this! I’ve been to Singapore before but I was supposed to go back last year but it didn’t push though. The photos are gorgeous and the parks look serene. Love me some me time there! I just booked my Singapore trip! Cannot wait, especially now seeing this post. I hadn’t realized that Singapore was such an outdoorsy place for hikes and walks. I just assumed it was a big building city with lots of AC! Thanks for shining a light on this part of Asia. Very informative post with details. Thanks for sharing. Those gardens have been on my bucket list forever, I can’t wait to visit them one day! Thanks for sharing these beautiful pictures! Such a great list and wow, Pulau Ubin looks beautiful! Wish I had known about this before I went to Singapore. I’ll have to remember it for whenever I might find myself back there! Great article! I just love Singapore. I would love to spend some more time there in the future and this article will be a great resource! Thanks for the tips. I never thought Singapore would be so much of Nature. I thought it was all about big buildings. but I would like to visit these parks soon!